Joshua Davis is a well known Michigan folk artist. Hailing from Michigan, he is a founding member of the group Steppin’ In It and gained national notoriety when he appeared as a contestant on popular network television show The Voice. He placed third on the show for that season, and since has released a full album as well as a live recording from The Robin Theatre in Lansing, Michigan. 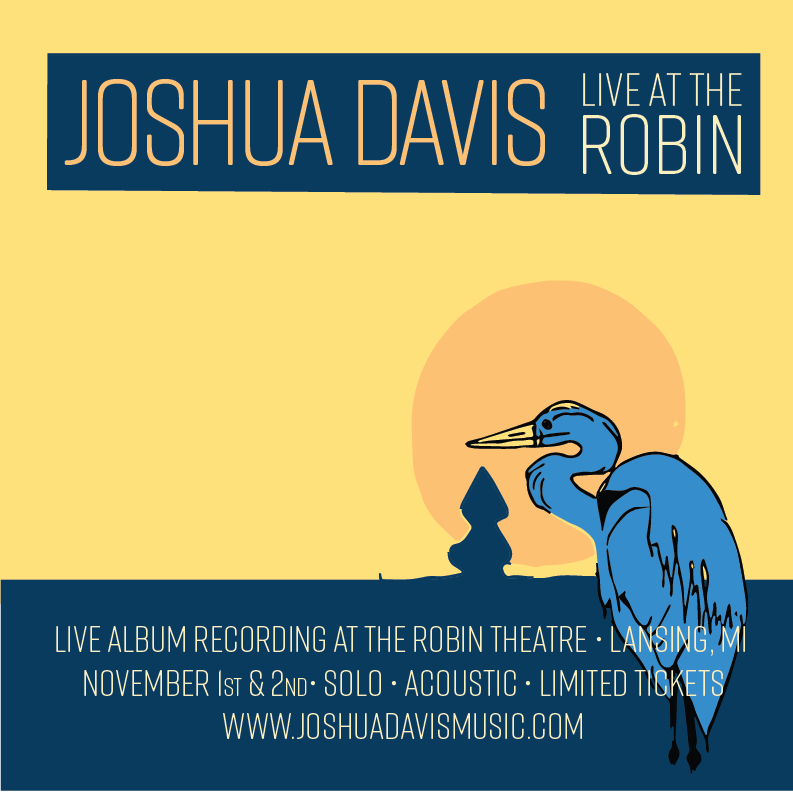 I have had the pleasure of working with Josh on a few occasions, we did a small screen printed poster run in 2016, I completed the album design for his 2017 album The Way Back Home, and did the promotional poster for his Live at the Robin shows in 2018.